Each year my friend Amber and I plan a day to shop for the “perfect” planner traveling from store to store comparing layouts, and searching online. We finally swear we are going to create and print our own, then we decide that we’ll just “switch covers” to make something we love out of something we are settling on. This year I think I have found what will work for me – but I’m still on the hunt for the perfect match. I have worked with a few different planners over the past years, and I have yet to find the perfect one. I have used an Erin Condren, a Blue Sky, and a few excerpts from ones you can print out on line. The layout is the key element for me. Some layouts are vertical, some are horizontal, some are by the day, some are by the week. I like to see my whole day in front of me. It’s annoying to me to have to gather up my phone calendar, a school calendar, and my editorial calendar along with all my different family to-do’s from different places. I also don’t want to carry around all these different items. Seeing the entire month at a glance and then flipping to the specific day that I’m working on and start working on checking items off of my list is my preferred method. This Blue Sky does exactly that for me (affiliate link). Plus, it has lines. Lines are a MUST for me! I still have to make some adjustments – for instance, section headings, but I’m giving it a try. Lastly, in terms of layout, I don’t like having to add the dates to the calendar. This is a personal preference, but I enjoy the dates already printed. 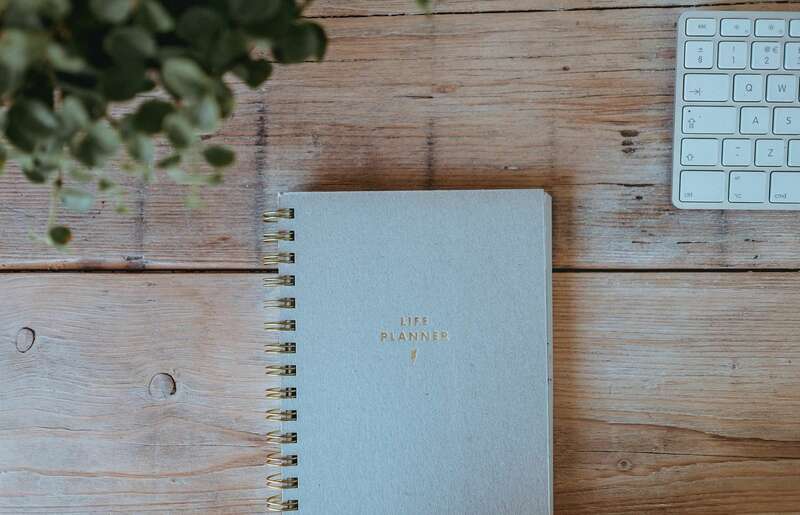 There are planners that have inspiring quotes, ones that have different sections for budgeting or working out – you name it, and there is a planner out there that has it. The planner I chose for this year doesn’t have all of the different sections I crave – budget, blog stats, editorial calendar (and so much more), so I’m trying to make the pages work for me to include as much of this information as possible. This may seem inconsequential, but there have been so many planners that I have passed up simply because of the binding. I personally prefer a wire bound book to a larger plastic one and although I like the look of a book binding, not being able to lay the book flat is a deterrent for me. Fourth: Does Your Planner Need to be Portable? I need to fit my planner in my bag with my laptop, phone, and the hundreds of other items that end up in there. For this reason, I have come to like a larger 8 x 10″ size. By choosing one that is a little larger, it isn’t as thick as the typical 8 x 5″, therefore; making more room for my bag’s “essentials”. I’m sure you’ve seen the thousands of different covers available for planners. This has everything to do with personal style. Although I find so many of them fun, I prefer more simplistic covers. The stripes on the one I chose for this year are even a bit “out of the box” for me. Once You Choose It – Use It! Good intentions won’t put your planner to good use! 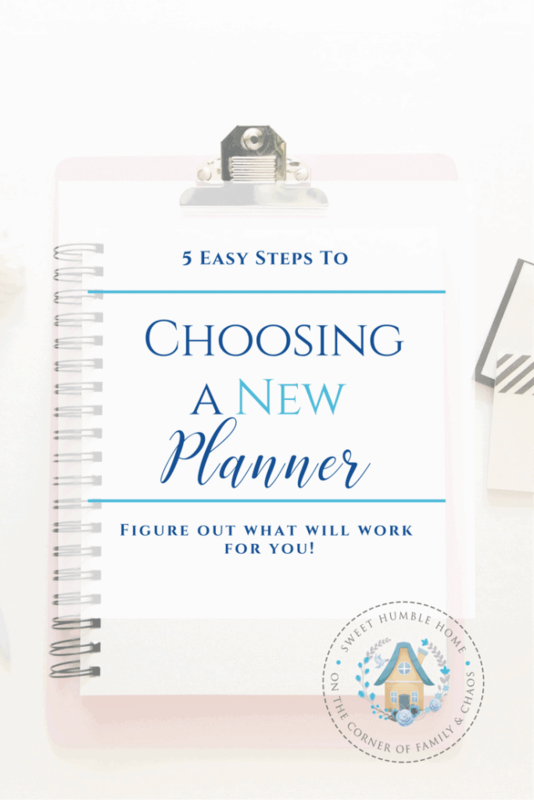 Check out my post on Organizing With A Planner which gives tips on how to do it! Happy New Year & Happy Planning!